Knife grade adhesive for vertical surfaces for filling, bonding and repairs on natural stone. A truly innovative product designed specifically for working natural stone such as marble granite onyx and travertine. 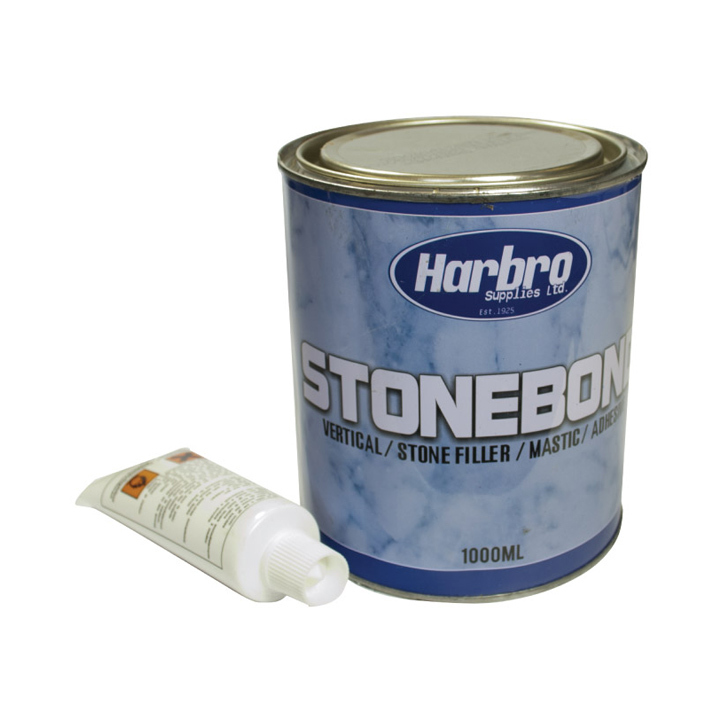 Stonebond mastics are the result of many years of careful analysis and improvement. Main characteristics are strong binding powers quick hardening easy to spread can be highly polished and pigmented. All resin supplied with hardener.